If your baby is starting to pop her first teeth, she/he may become more irritable. Among the many natural remedies that have been used to reduce irritation from teething are essential oils that help ease the pain of tooth eruption. Essential oils are naturally fragrant oils typically obtained by distillation after extraction from various plants or other sources. Helpful as they may be, you need to be extra careful when using essential oils on babies. German Chamomile has healing and soothing properties. It is also known to have antibacterial actions and is beneficial even for hypersensitive skin. Plant matter can be steam distilled to produce both essential oils and hydrosols. 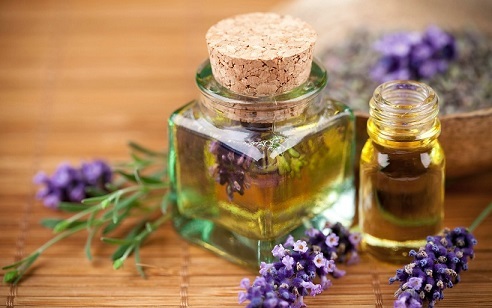 Essential oils are much stronger than hydrosols, which contain water-soluble chemical constituents of the distilled plant substance.Because hydrosols are weaker, they have very few safety issues. 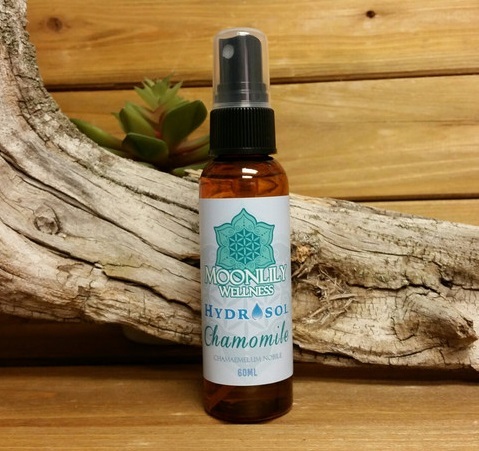 German Chamomile hydrosol can therefore be applied directly on the baby's sore gums. Hydrosols may also be safely used as a substitute for distilled water for mixing formulations. You can also mix it with water for use in a facial steam. Others mix it with creams and lotions and incorporate it with dry/wet clay recipes. Why it helps: Lavender extract is undoubtedly one of the most versatile essential oils. It is one of the best essential oils for teething babies. It has a complex chemical structure and is one of the few oils that can be used undiluted on skin or in your wounds. Lavender is very useful and safe to use for many other minor upsets in babies, including colic, nappy rash, rashes, burns, infections, colds, sleeplessness, andirritability. It is also safe to use during pregnancy. It is powerful in stimulating the growth of healthy new cells. How to apply: Dip you finger on the oil and apply on the baby's cheek. As an alternative, you can dip a clean towel in cold water mixed with a few drops of lavender essential oil and pat gently on the baby's sore gums. 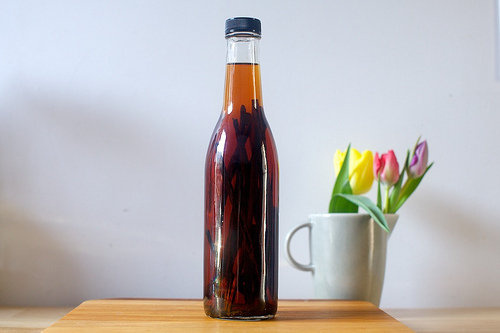 Why it helps: Vanilla extract is known for calming nerves. Some parents rub a small amount of pure vanilla extract on their baby's gums to soothe crying. This simple home remedy works by easing pain created by the massage and the alcohol content of the vanilla extract also creates a warm, comforting sensation. Vanilla is known to soothe and energize, thus reducing anxiety and promoting a feeling of well-being. How to apply: Mix a few drops of vanilla extract with a few drops of water. Using your finger, rub a small amount into your baby's painful gums. You can use cotton tip to rub the extract with water on their gums. Why it helps: Roman chamomile, as one of the essential oils for teething, has a distinct apple-like scent that is very soothing and calming. Roman Chamomile also has anti-inflammatory effects and is very effective for internal conditions such as teething and colic. It has analgesic action that is suitable for dull aches or pains. Aside from these, chamomile tea is widely known for its use to reduce tension and anxiety, for treating skin conditions and allergies and for relieving dry itchy skin. It is also one of the gentlest oils that is suitable for babies. 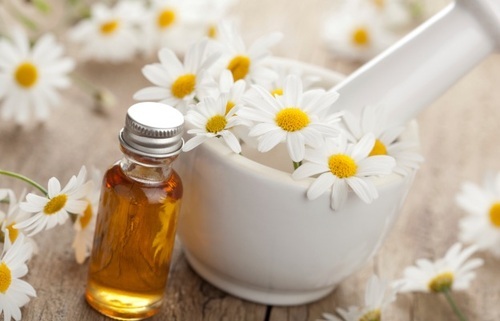 How to apply: Take one drop of Roman Chamomile essential oil and add it to one teaspoon of Jojoba oil. Shake then put some on your finger and massage on the baby's jawline, including the cheek and chin. Warning: Clove essential oil is not recommended for children under 2 years of age. Why it helps: Clove essential oil has warming and numbing properties. Adults have been known to bite on a clove or use its powder or oil to obtain relief from tooth aches. How to apply: A small amount of clove oil can be gently rubbed on the sore gums to relieve pain. Whole cloves can also be ground into powder then mixed with some water to make a paste. Rub a very small amount of paste on your baby's gums to soothe pain. Remember that too much clove oil can upset your baby's stomach. Therefore, it should not be used on sensitive skin, especially in young children (under age 2). 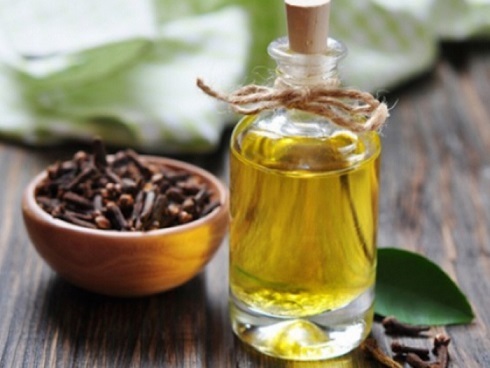 Clove essential oil contains a sensitizing compound called eugenol in high concentrations. It is also found in cinnamon, basil, bay, and other essential oils. Adverse reactions include itching, redness, burning, and skin ulcers. Once the skin is sensitized, it is sensitized for life, which means that you cannot use products containing essential oils to which you are sensitized. Use the smallest amount of essential oils for teething babies. If in doubt, dilute the oil in water before using. You can also try it on yourself before using on your baby to see how it feels and if there are any unpleasant effects. Make sure to get your essential oils from a reputable source. Choose organic, authentic and therapeutic grade products. Most groceries and health food stores sell scent-grade products that are best used for making soaps or cleaners, but they may not be effective in relieving your baby's symptoms.